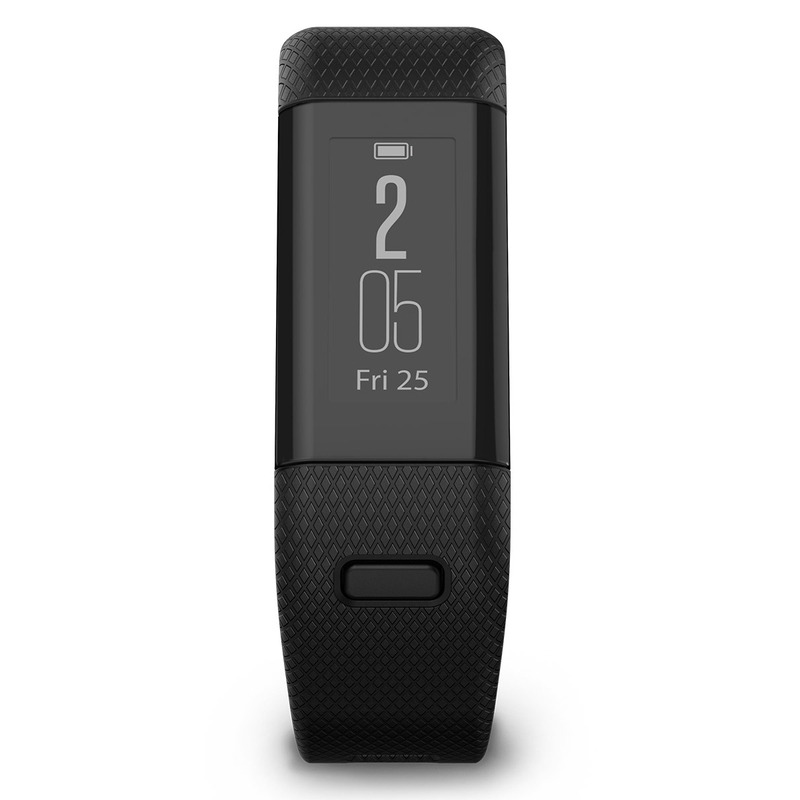 The Garmin Approach X40 GPS with heart rate technology is a super slim, stylish and highly sensitive GPS golf band that also can be used to give you an active and healthy lifestyle. With over 40,000 golf courses pre-loaded and precise distance measurements to the green and hazards, you can be assured of better course management. 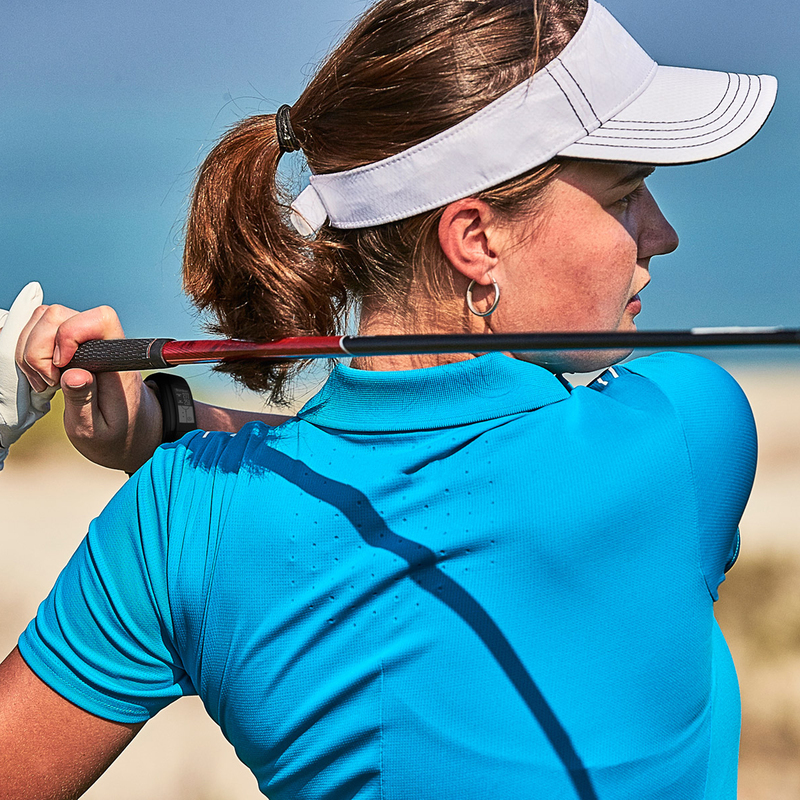 The X40 features AutoShot game tracker which automatically records individual shot distances to give you a better way to understand how to improve your game through the Gamin Connect online application. 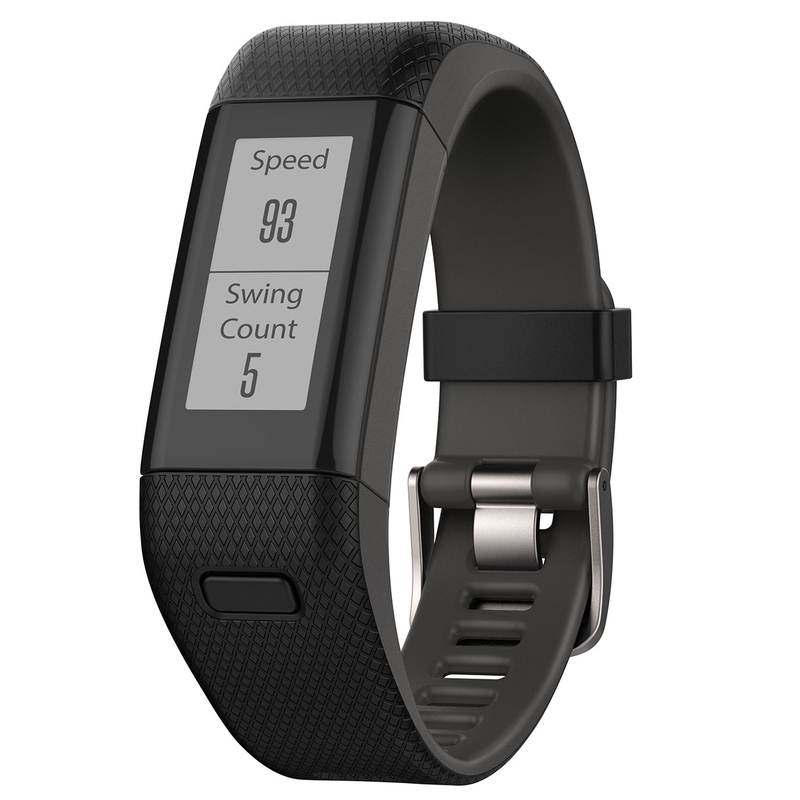 The band also keeps track of your golf statistics such as greens in regulation, fairways hit and includes how many putts your have taken. 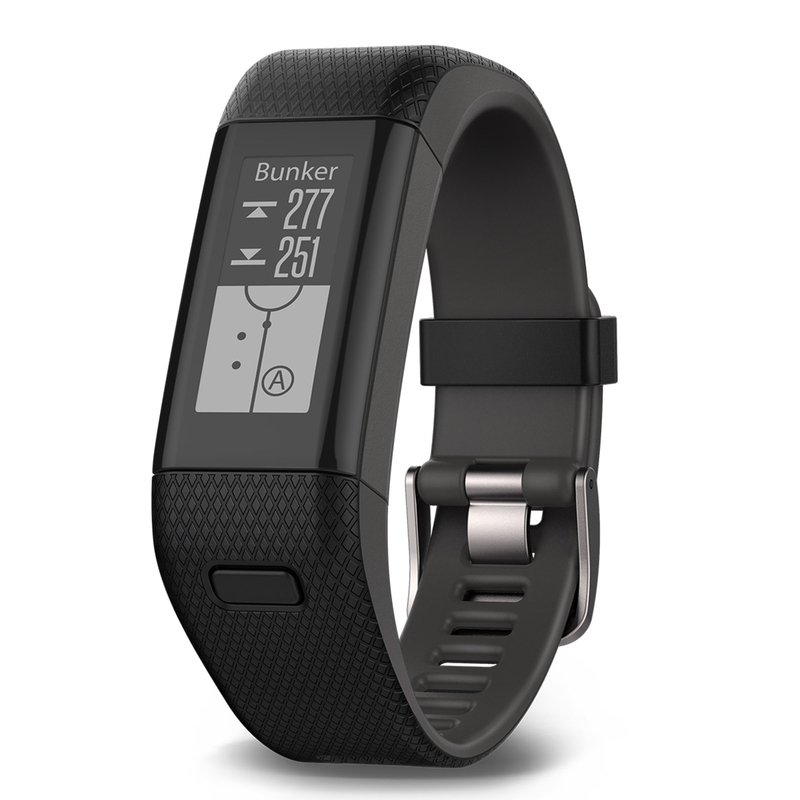 Plus a clock and digital scorecard feature to track your score during your round of golf. The design is slim and lightweight and has a 1" sunlight-readable, high-resolution touchscreen display. This display allows you to use the green view feature that shows the shape of the green, and allows you to manually change the pin position on the screen to give a more accurate distance measurement. 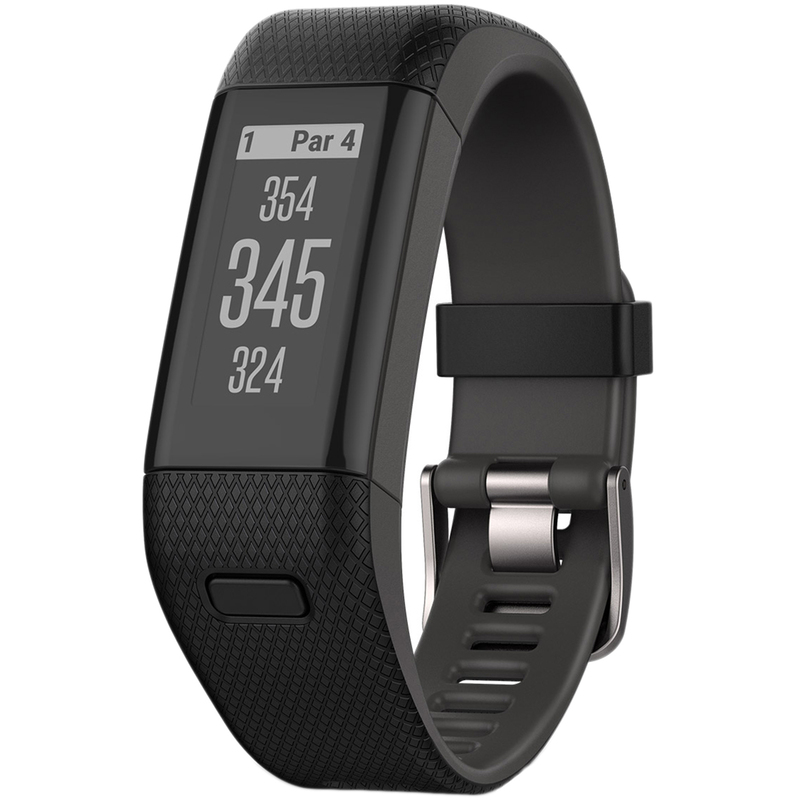 Plus measures individual shot distances and calculates yardage for shots played anywhere on the course, even under tree cover. 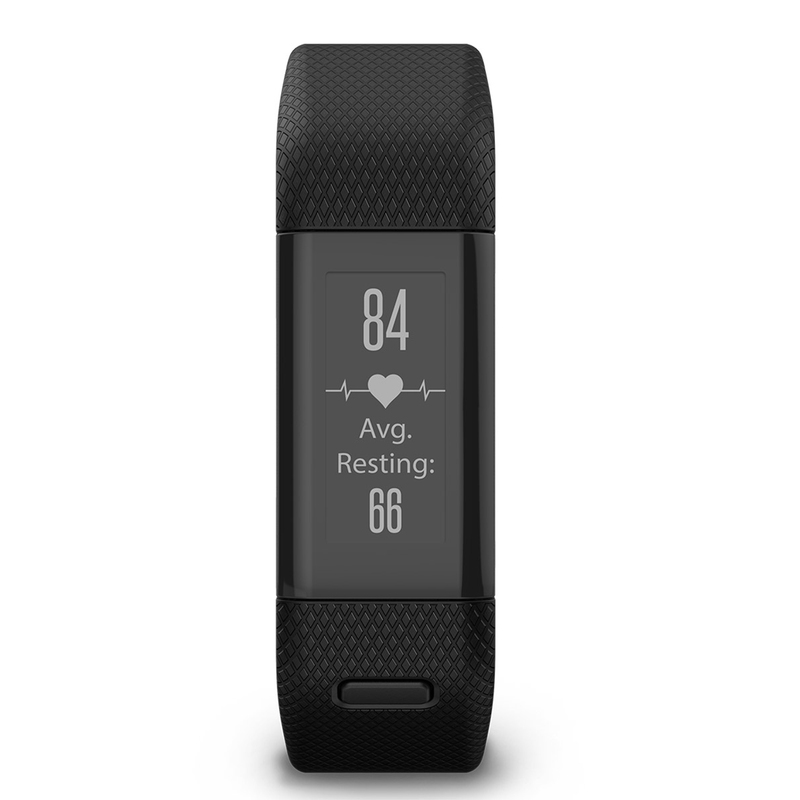 As part of a healthy lifestyle the band can be used to remind you to stay active with Garmin Elevate wrist heart rate technology that monitors you heart rate day and night. 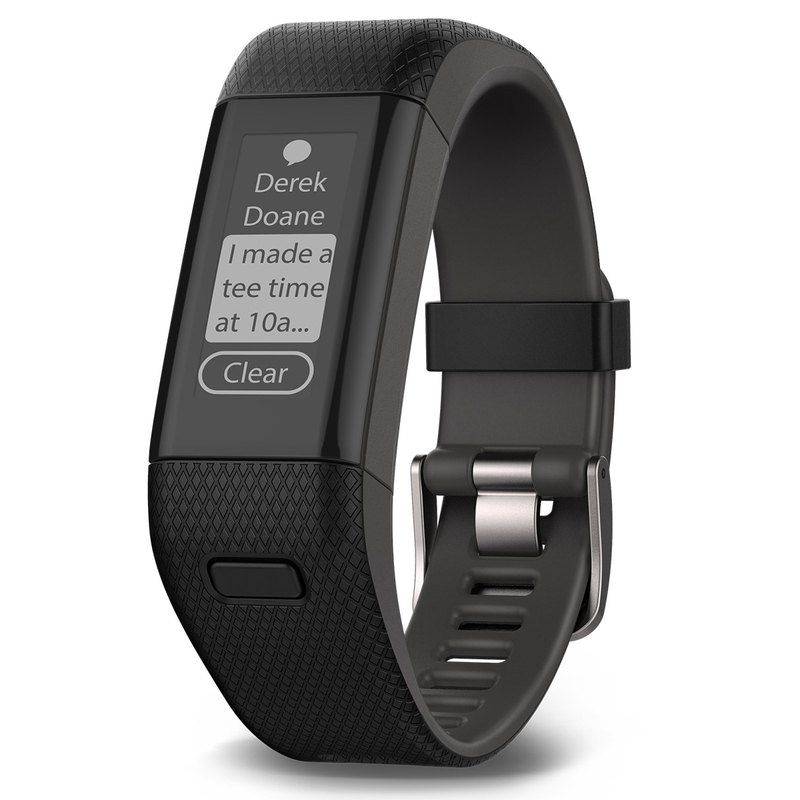 The activity tracking feature displays steps, calories burned, distance, time, and tracks various other activities such as running, walking and cycling. This innovative device also receives smart notifications for incoming calls, texts, emails and other vibration alerts and can be used with the Garmin TruSwing golf swing sensor for enhanced swing metrics for total swing consistency. 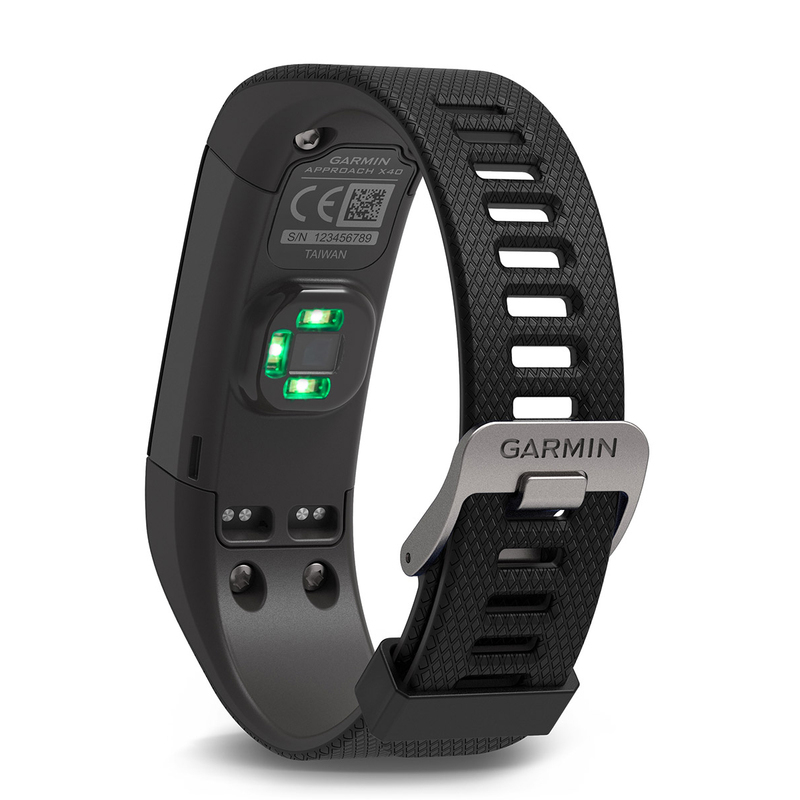 You can also wireless connectivity to upload and share scorecards, round performance and daily activities with Garmin Connect. 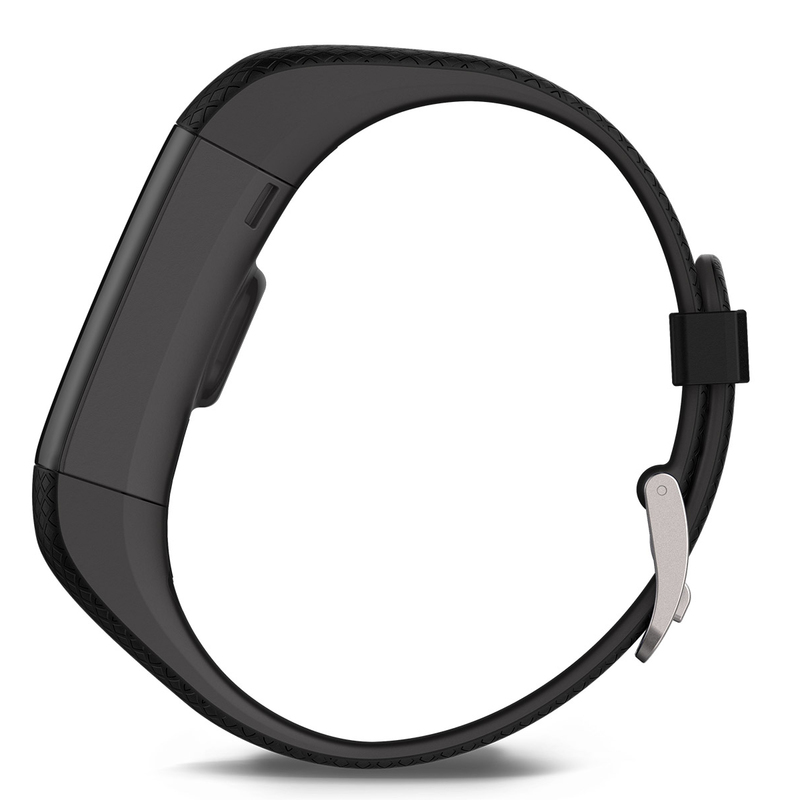 The band has a rechargeable Li-ion battery which lasts 5 days in activity mode, and up to 10 hours in GPS mode, and has a water rating of 5 ATM (50 meters) to give added protection during bad weather conditions on the course.